Last Parade of Homes post, I promise. The Joseph Douglas house is just amazing and was fun for designXchange to decorate. So, we wanted to show you a few more decorating and decor pictures. Hope they inspire you in your home. The images below are from The Bristol, the Joseph Douglas house in the 2018 Parade of Homes. This home won 8 awards! Including Best Kitchen. Love all that counter space! And, do you see the pops of color on the back counter? The kitchen above is the main kitchen. It’s the part you see from the Living Room. The kitchen below is a second kitchen called a working kitchen. That’s where you do the prep and staging and hide the dirty dishes when the guests come. It’s tucked right behind the main kitchen. I think this is why this home won the best kitchen award! And then there is the spacious dinette. What a pretty area to eat in. And, I know I’ve shown you the living room but it’s so pretty! And this pretty nook in the family room. Right beside the fireplace. This house is done in beautiful neutrals. Beautiful and colorful decor items draw the eye. Staging and furnishing in this house done by Katie Guindon, owner of designXchange! If you see Katie, make sure to tell her you loved her decorating at the Parade of Homes. This master bedroom also won an award! Gorgeous! This dresser, in the picture below, is on the other side of the room. Don’t you love the fun lamps? Yes, this is the type of furniture you can get at designXchange! If you have furniture that you need to rehome, take a look at our Consignment FAQ page for information on how our consignment system works. Drop by one (or both of our stores) to see if there is a piece of furniture or decor items that want to live in your home. Our largest location is in Hartland, WI, in the Sendek’s plaza. 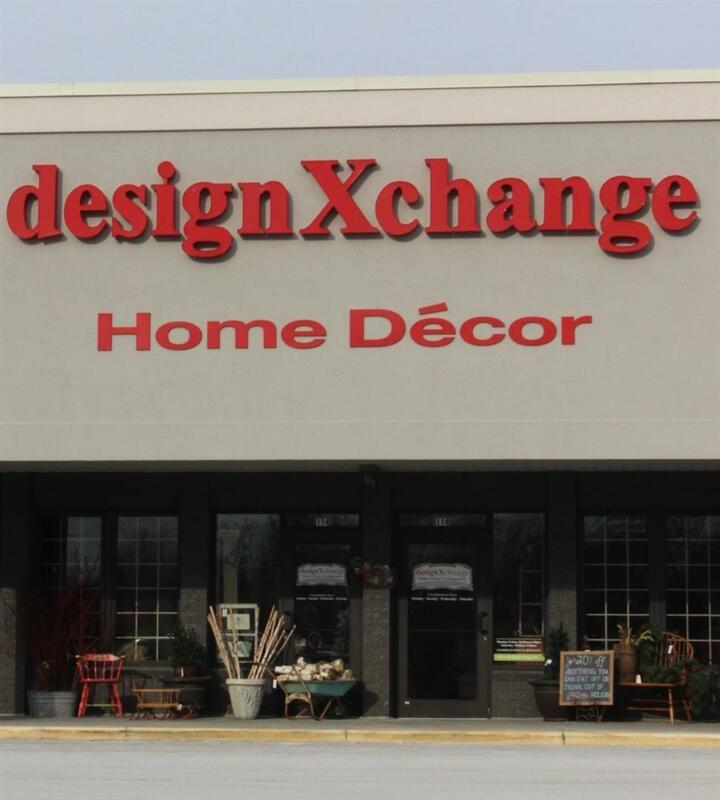 The designXchange Porch and Pantry location is at 175 Main Street in Pewaukee, WI. And, if you are visiting our Porch and Pantry location, please drop in next door and take a peek at our upscale consignment clothing store, Wooden Hanger. Bet you’ll find something you like! Previous Post: « This Parade of Homes house won EIGHT awards (We staged it! ).